Roy Sewall is a full-time photographer based in Bethesda, Maryland, adjacent to Washington, DC. Roy's interest in photography evolved from travel in six continents, yet he found his own community to be one of the most photogenic locations in the world. From 2001 to 2009 Roy concentrated on capturing scenes of the Potomac River and the adjacent Chesapeake and Ohio (C&O) Canal. He then developed diverse bodies of work that include foreign and domestic destinations, architecture and design, people, nature, old places and things, and abstracts. But since 2012 his foremost passion is his ongoing project called "Mysterra" - illusions that convey fantasy, whimsy, and spirits. Roy has done extensive work for private and commercial clients, as well as Potomac River and C&O Canal-related government and non-profit organizations. Roy's considers the ultimate destination for a photograph to be a large fine art print, 12" x 18" or larger. He has exhibited in numerous DC-area group and one-person shows, as well as in his own studio. Roy's first photography coffee-table book, Our Potomac, from Great Falls through Washington, D.C., was published in 2005. The book led to numerous lecture and slide show engagements with local organizations, and established him as one of the leading photographers of the Potomac River and C&O Canal. His second book, Great Falls and Mather Gorge, took a magnifying glass to this extraordinary area; it was published in 2009. These are the definitive photography books of the river and canal in the DC area. Roy offers both private and group instruction and critique to novice and intermediate photographers. In 2014 he became an instructor for the Capital Photography Center, where he offers classes and local field trips. 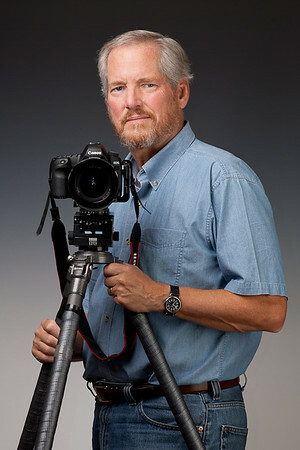 Roy has judged photographic competitions and has critiqued bodies of work at Maryland, DC, and Virginia camera clubs more than 70 times since 2006. He regularly does instructional programs at camera clubs and Nature Visions (Manassas, Virginia), with the most popular one being "Taking Your Photography to the Next Level." He has made over 40 presentations to the general public about the Potomac River and C&O Canal using photographs from his two books. He has also made presentations of photographs of China from 1901 to 1939 by his missionary grandfather Robert Fitch, to Chinese and US audiences. Roy is currently President of the North Bethesda Camera Club. He was the first Chair of the Board of Directors of the C&O Canal Trust, and also served on the Board of Directors for the Potomac RIverkeeper Network. Photographic excellence; continuous technical and artistic growth; client satisfaction; the local community; mentoring and supporting other local photographers.